1st Annual Golf Tournament Was A Success!! 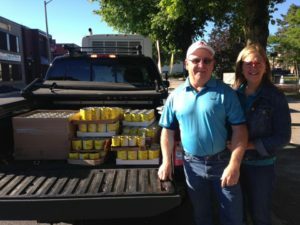 On September 21, 2018, the Agapè Centre’s Board of Directors hosted their first Golfing To End Hunger Tournament at Summerheights. 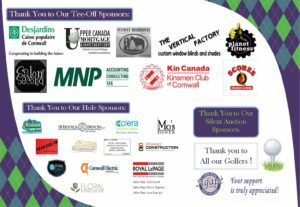 Despite the strong winds and the morning downpour, we had a beautiful day of golf and an even better evening with food, laughs, and a successful silent auction ! 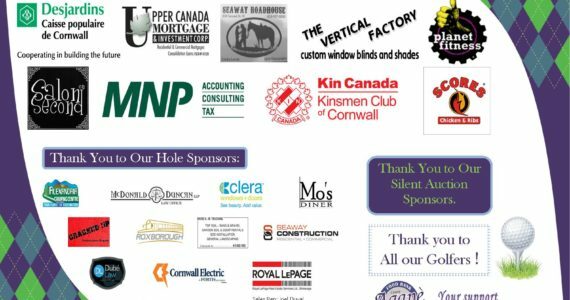 Thank you to our golfers, Hole Sponsors, Tee Off Sponsors, silent auction sponsors and of course our wonderful volunteers for contributing to our success!! 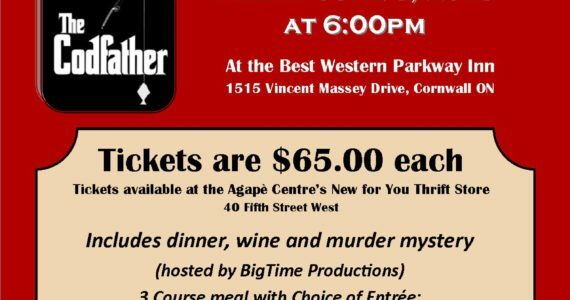 On June 6, 2018 we hosted our 2nd Annual Murder Mystery Dinner. What a success!! 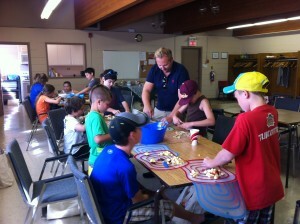 The Agapè Centre is a non-profit organization governed by an all-volunteer board of directors and a professional staff. 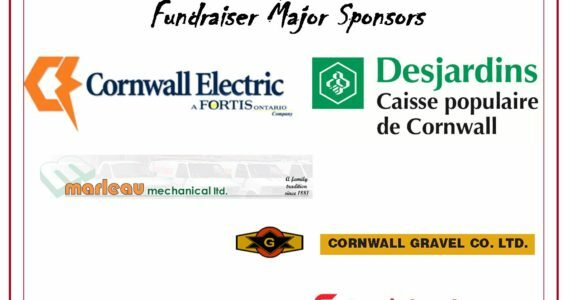 With a budget of close to $1 000 000 we rely solely on community donations, generous funders, individual donors and hundreds of volunteers. 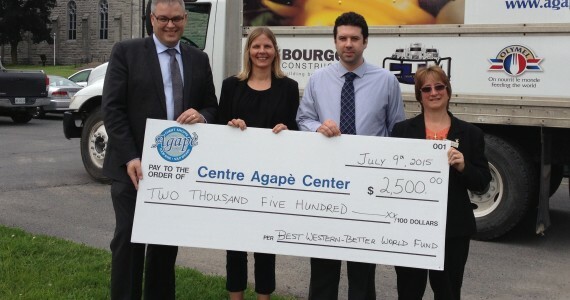 The Agapè Centre is the largest food bank and community kitchen program in Cornwall, Ontario supporting over 1200 clients each month. We provide emergency food relief and clothes for those who need it most. In addition, we partner with local community organizations to address the issues we have locally. The new Executive Director will be a proven leader with a history of success, an excellent communicator and a strong collaborator. The successful candidate will have a passion for serving the hungry consistent with the mission of the Agapè Centre. The Executive Director needs to have great people skills and be comfortable with diverse populations including people who are homeless or going through difficult situations. Qualified applicants should submit their cover letter and resume via e-mail to Jim Healey, Chair of the Board of Directors of the Agapè Centre at jim@roadsigns.ca on or before 5:00 PM on June 24th, 2016. Upon receipt of your information, you will receive a confirmation e-mail that your packet has been received. We thank all applicants and advise that only applicants selected for an interview will be contacted. The holiday season is a special time of the year for us at Agapè. Sometimes we see people on their worst days – stressed, anxious, feeling a little hopeless and unsure of how they are going to make ends meet and get food on their table for themselves or their families. 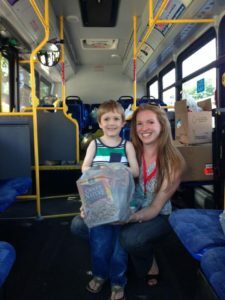 Some moments it’s hard to see so many people right here in our community in need of a little help. But we also get to see the best side of people: in their generosity and gratitude. We are grateful for all of the ways that people support our services, and the thousands we help to feed every month. Thank you for your time. Volunteers play a huge role in the delivery of our services. Thank you to our more than 80 regular volunteers, and also to those who help out over the holidays in our food bank and soup kitchen. 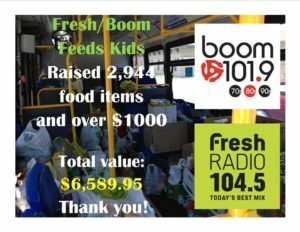 Thank you for your food donations. 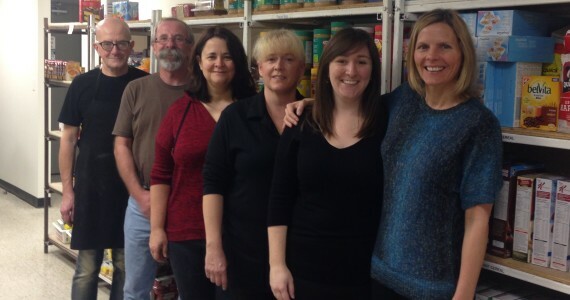 We are grateful for everyone who organized a food drive on our behalf. 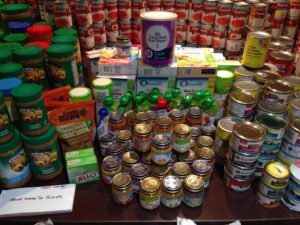 Many even called to ask us what we need most and collected those items specifically. Our shelves are full, and the food is still rolling in today. 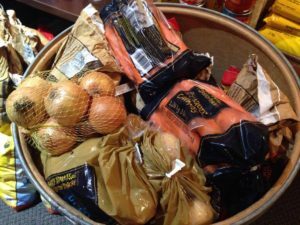 It’s been so wonderful to see so many fresh donations, too, like turkey, meat, and produce. This will help us throughout the winter months. Thank you for your monetary donations. 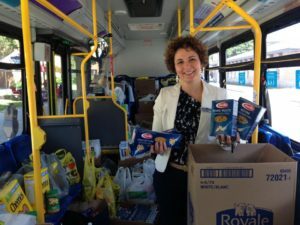 Because we buy in bulk and have the support of local grocers, we can multiply every dollar donated. And a special thank you to anyone who donated to our building campaign. We can’t provide our services without having a place to do so. Now, with our renovations complete, we have a safe, accessible, welcoming and dignified space. Thank you for the gently used clothing, toys, household items, books and more. Your donations help keep our store stocked with incredible items, and allow us to give tens of thousands of dollars worth of clothes away for free to people who need it. The revenue from the store directly supports our services. Thank you for your words of encouragement and support. We’ve been through a lot of changes this year, so that we can provide the best food and services as possible. The community’s support means a lot to us. It’s so heart-warming to see the many ways that people give, and we appreciate every amount given to us. We can assure all of our donors that what you’re doing matters – the people you are helping are always leaving here saying thank you. On a daily basis we hear: “Thank you for the delicious meal” and “Thank you for the groceries” and “Thank you for helping me” and “Thank you for listening”. But we know we couldn’t do what we do without all of you. From all of us at the Agapè Centre, Merry Christmas, Happy New Year, and Happy Holidays! 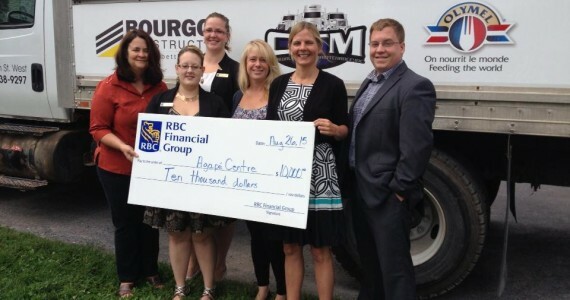 Thank you to Cornwall’s RBC Financial Group for the $10,000 cheque. 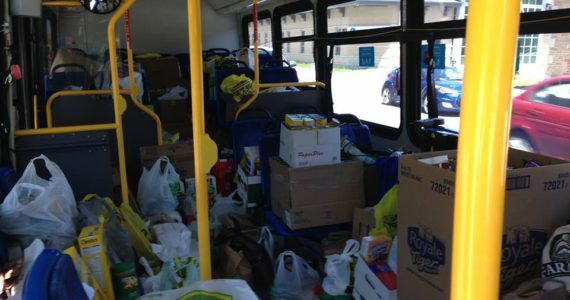 Donations like this help us feed thousands in our community. 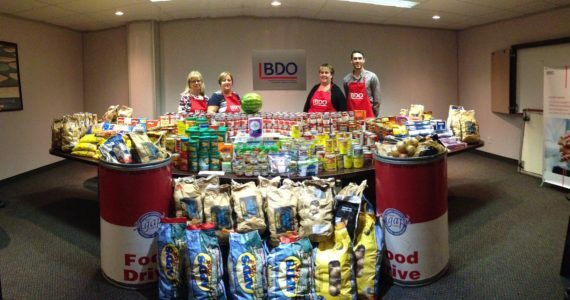 These funds will purchase food for both the soup kitchen and food bank. Thank you to Best Western Plus Parkway Inn and Conference Centre for applying to the Best Western – Better World Fund for the Agape Centre. The $2,500 awarded will be used to buy food for the food bank. 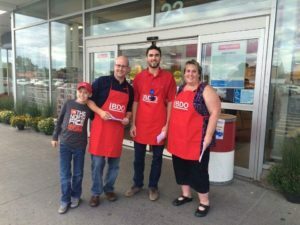 Pictured are: Paul Levebvre (General Manager), Alyssa Blais (Agape Centre’s Executive Director), Adam Caskanette (Director of Sales and Marketing) and Anne Drouin (Assistant General Manager). 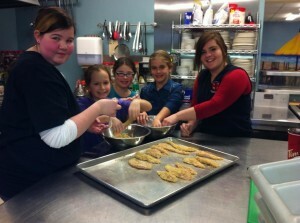 We are super excited to announce we will be offering two more sessions of our popular kids cooking program. And this summer, we’ll be taking food from garden to table. Starting June 30, the 5-week cooking class teaches healthy eating on a budget, and focuses on kitchen safety, nutritious school snacks and lunches, portion sizes, the four major food groups, and food labels. And of course, there will be plenty of cooking and eating. New to the program this year is gardening. In recent years, there has been an increased rise on the importance of the role of food in health and how food is grown and processed. Improving food literacy is important and will support healthier food choices in diet and better food skills. It matters to us and we want to continue providing these programs as part of our core services. We like the ‘from garden to table’ concept – teaching children where food comes from, and hopefully inspiring a new-found appreciation for food. Kids will grow their greens thumbs by spending the first hour of each session learning how to plant, tend, and harvest fresh produce in the Agapè Centre’s garden, which is filled with a few hundred plants donated by Transition Cornwall + and Hoople Creek Farm. The veggies they pick will be both used in their kitchen creations, and packaged to give away in the food bank. Chelaine Klauburg, the program facilitator who has a background in the culinary industry, is really excited to teach children about the importance of fresh foods and how rewarding it is to grow your own food. The budding chefs will prepare an entrée and dessert at each session, with enough to spare to bring some leftovers home. Creative activities, like a weekly ‘Fear Factor’, will challenge them to try new or exotic foods, like kale, asparagus, or pomegranate. Chelaine wants to help remove the misconception that it’s difficult to cook, and believes that kids who are comfortable in the kitchen are more likely to eat healthier food. 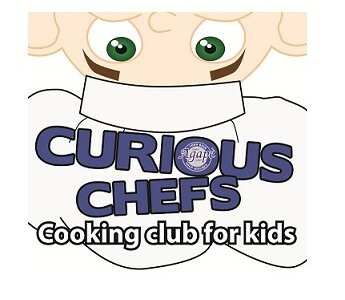 More than 75 young people took part in Curious Chefs during the summer of 2014. Parents of past participants have said their children are taking an active role in the kitchen, and are choosing healthier options for their lunches and school snacks. Any youth between the ages of 7 and 16 can participate, free of charge. 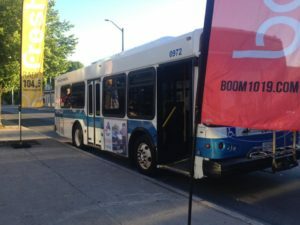 The program will take place at the Agapè Centre from 2:00 – 6:00 pm on Tuesdays for ages 7-10 (June 30 to July 28) and on Thursdays for ages 11-16 (July 2 to July 30). Registration opens on June 16. Forms will be available online and at the Agapè Centre’s reception desk (40 Fifth Street West). Sign up early. Last year the classes were completely booked within two weeks. Since space is limited, priority will be given to those who can attend all of the sessions. For more information contact reception: 613-938-9297 ext. 26. Starting June 16, click here for the registration form.